All hail the queen! 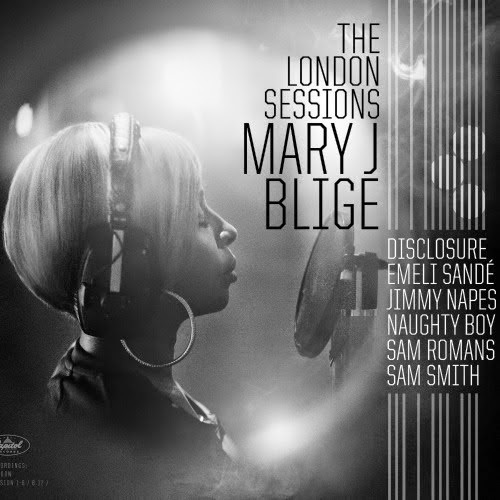 Welcome back, Mary J Blige, with the release of The London Sessions. (available December 2, 2014. iTunes. Amazon.). I'll admit, when I first heard that Mary J traveled "across the pond" to record this album, I was a bit surprised. She has been known for much of her career as the "Queen of Hip-Hop Soul", and London did not give me that type of vibe as a mean for inspiration. It wasn't until I began listening to the tracks on the new album and dissecting the lyrics, that I realized how The London Sessions was more about growth than it was about abandoning a title. It was as though Mary had an epiphany in her life and wanted to capture the experience through lyrical prose. She did just that. And for the record – she is still the queen! I use several factors to determine my like or love for an album. Generally, if I can press play and never have to skip a track, I am most likely sold on the concept. I also know that I am feeling an album if I subconsciously start tapping my feet, bobbing my head and/or snapping my fingers. I can assure you that all of these things happened as I listened to The London Sessions. I have to add that I like the personal touch of sharing interviews from those who worked with MJB on the album. They can be heard after a few of the selections. First Impression: This is a great track to start the album. The beat immediately grabs your attention, followed by a to-the-point MJB asking a simply question. I tapped and clapped through this song. It's catchy. And did I mention the great Sam Smith helped write this track. Awesome. Favorite Lyrics/Line: Why would I spend the rest of my days unhappy? Why would I spend the rest of this year alone? When I can go therapy. When I can go therapy. First Impression: Victory song. We call can use this at some point in our life. It's about belief and declaration. A nice addition to the album. Favorite Lyrics/Line: You think you know, But you don't know the half. You think you beat me down, But I'll have the last laugh. First Impression: I love the strength of the piano chords peeking in the background of this track. It's a classic MJB song where she pours her soul out. Favorite Lyrics/Line: There's only so much I can do if you're not loving you. First Impression: I understand the idea behind this track. Being away from anything or anyone you love gives you clarity and reminds you why you need them in your life. Missing love is the theme. Favorite Lyrics/Line:When you're gone I'd miss you like I did when we were first together. No one in this world could hold me better. Just tell me when you're coming home. First Impression: Electronic. I loved the sound right away. It felt like a slow groove for the roller skating rink. First Impression: London was here. LOL. I felt like I was with my girls in the club and we didn't have a worry in the world. Lights, drinks, dancing and laughter. It's the hey-DJ-play-my-song type of track. It takes you away. Love this!! Favorite Lyrics/Line: Tonight, you don't need an alibi, it's all in your mind. You just need to close your eyes, I'll let you drive. First Impression: A typical relationship song about staying and working on love. Favorite Lyrics/Line:Take a long hard look. The grass is never greener on the other side. First Impression: It sounds like Mary is healing and needs understanding. She's been through the "seasons", as most of us have and go. It's a process. Favorite Lyrics/Line: See winter took most of my heart. And Spring punched right in the stomach. Summer came looking for blood. And by autumn, I was left with nothing. First Impression: Another great club hit. The "techno" sound is on trend with today's music. I definitely feel this is how London inspired Mary. I like the simplicity of the lyrics and the ability of the song to make me dance. Favorite Lyrics/Line: I'm thinking of running away, Into your arms to a place, Where I know that I'm gonna stay, gonna stay. First Impression: This song felt just like the title – an instant pick me up. I felt like smiling. I can picture this song on a nice day, windows down with the sun kissing my cheeks. Mary also reminds us all that we need the occasional getaway. Maybe we can't all go to an island, but even a musical escape is enough. Favorite Lyrics/Line: Pick me up, pilot. Fly me straight to the island. Soon the sun gon' be shining on me. First Impression: After hearing two previous songs with the same upbeat, I didn't really think this track added anything to the album. I had to actually go back and listen to the others to see how similar they were. Favorite Lyrics/Line: Give it all or give it nothing. Give it love or give it up. First Impression: My favorite! I love that this track was placed at the end. It made the album come full circle. Mary took us on an emotional roller coaster from start to finish and assured us that it was all worth it in the end. I play this track on repeat, mainly because I can relate so much. Favorite Lyrics/Line: But I won't give up. Make it worth my time. We've been in it so long we forgot how it feels to divide. And I wanna stay. My cousin, Rasha Jay, recently visited London to share some of her music. She is an aspiring singer and songwriter with a drive larger than the amount of lyrical content buzzing through her head. The experience was definitely one that encouraged her to want more. She said that London was very inviting. Perhaps this is one of the reasons why Mary was able to open up and release any inhibitions that have held her hostage in the past. Thank you, London. You did not change Mary, but you sure did enhance her already adored artistry. It was refreshing to experience a new sound and go in a different direction with such a seasoned vocalist. A lot of the times, fans have a difficult time embracing change and want to keep an artist in that familiar space. But, everyone has to evolve. 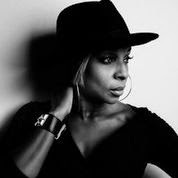 I truly felt the same soulful spirit of the MJB that hit the scene "back in the day". The Mary on The London Sessions is a bit softened, reflective and triumphant. I believed in her missions and understood the conviction in her voice. The lyrics were genuine. I mean, how else can you knock out a great album like this in only three weeks? Mary J Blige gave me life...literally. 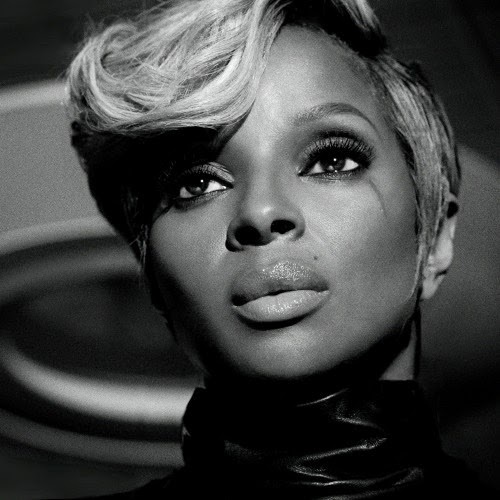 I participated in the Mary J Blige The London Sessions album review program as a member of bLink Marketing Network. I was provided a free album to review but all opinions are my own.